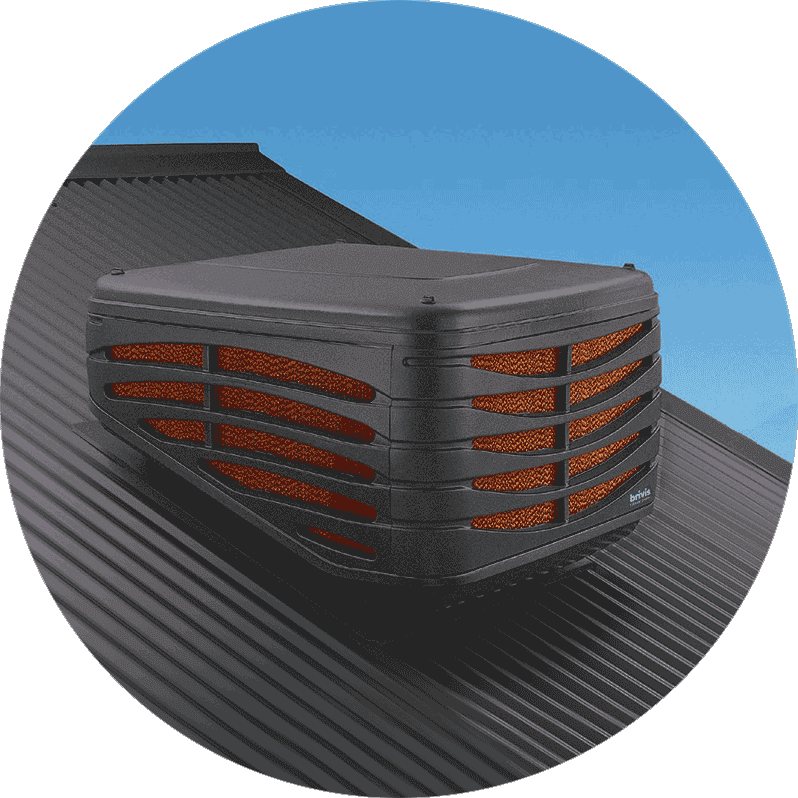 The Brivis Contour Evaporative Cooling from the Slimline Series has the lowest profile and is known as one of the most advanced evaporative coolers in its class - designed to deliver volumes of cold air without the bulky profile of traditional coolers. Each operational stage has been carefully designed to make it reliable and discreet. 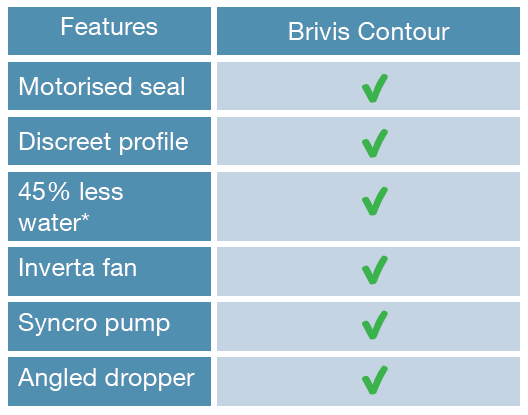 Upon switching on the Brivis Contour Evaporative Cooler, it begins a Pre-Wet cycle. Clean, fresh water is fed into the evaporative cooler and starts saturating the high efficient cooling pads before the fan starts. This will ensure that only cool fresh air is supplied throughout the home. The Contour is packed with features, giving you comfort and flexibility.